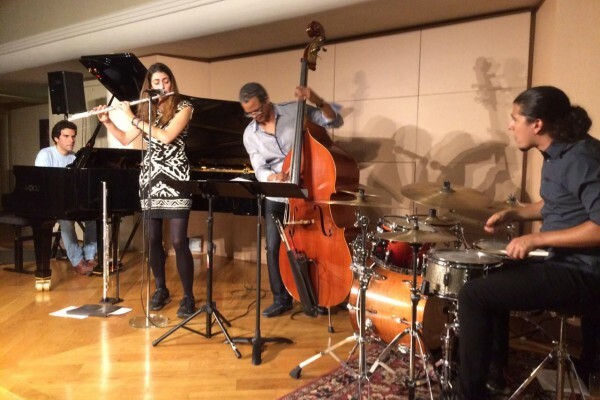 The fiery alchemy of the Rebecca Kleinmann Quartet synthesizes Jazz, Brazilian and Flamenco music featuring compositions by Kleinmann & Alex Conde in concert at 8pm, May 27, 2016 at The Sound Room, 2147 Broadway, Oakland, California. Tickets are $20 and include special guest, Melissa Cruz, who ignites the chemistry with her flamenco dance. 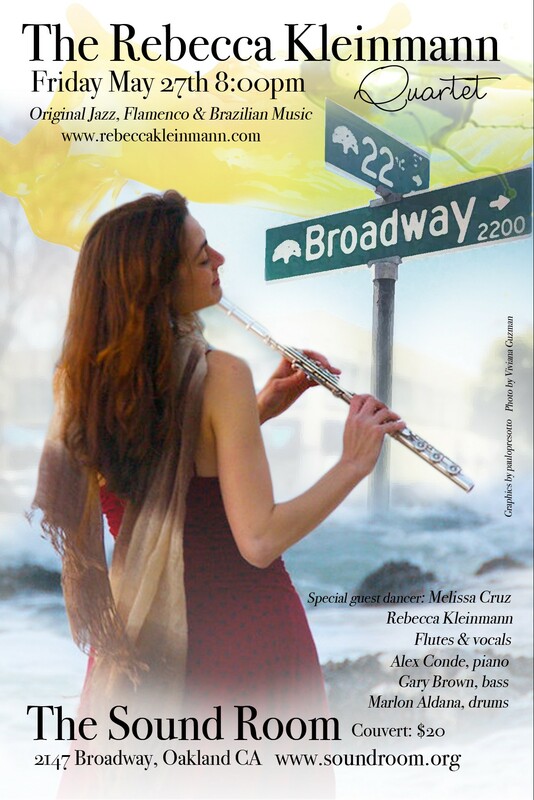 Acclaimed flutist, singer, and composer, Rebecca Kleinmann leads her quartet featuring Spanish­-born jazz pianist, Alex Conde, bassist Gary Brown and drummer Marlon Aldana, and compositions written for Rebecca by composer Hermeto Pascoal.